By Cliff Seal on January 30, 2015 . Filed Under: eBooks, Nonprofits, Resources. 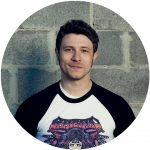 Kyle and I are pretty relentless in our efforts to bring the power of WordPress to growing businesses. The whole premise of Evermore is built around it. We try to write helpful content here that empowers everyone (even those who aren’t customers yet or will never be). And, whether as individuals or Evermore co-founders, we make it a point to share any knowledge we have that might be helpful. Kyle just leveled up when it comes to helpful content. 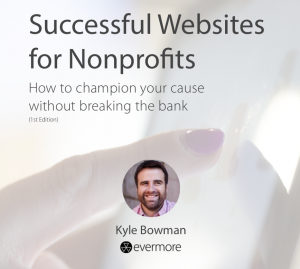 Today, we proudly introduce a new eBook he wrote, Successful Websites for Nonprofits: How to Champion Your Case Without Breaking the Bank. I’ve been honored to help him mold the concepts, design the book, and get it professionally edited. Both of us have worked with nonprofits in the past—and are working with some as Evermore customers—so guiding their web presence is close to our hearts. It also includes a full action plan workbook, complete with areas to fill out with a team that will help nonprofits focus their project and move forward confidently. The eBook comes in three formats: PDF, ePub, and Mobi. You can read this eBook on almost any modern device. Many, many hours of work went into researching, writing, and formatting this eBook for all types of digital readers. If you’re able, we humbly request at least $10. Want to check it out prior to parting ways with your hard-earned money? We understand! If you end up feeling it’s valuable, we’d appreciate your contribution or your sharing with a friend who would find it useful. Would you like occasional email updates from Evermore?